Marchionne says that most EVs are no better than gasoline-powered cars when it comes to environment impact because two-thirds of electricity is produced using fossil fuels today. 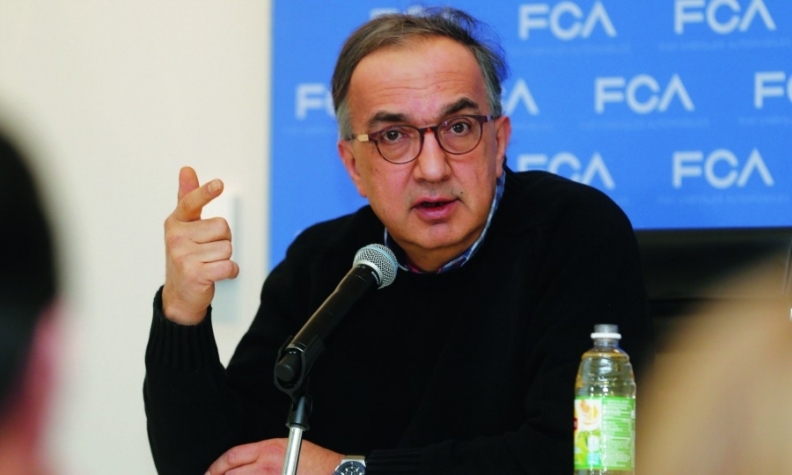 Fiat Chrysler Automobiles CEO Sergio Marchionne believes that a widespread move to electric vehicles could be catastrophic because it has the potential to increase CO2 emissions and worsen global warming. “A forced introduction of BEVs [battery-electric vehicles] on a global scale, without solving the problem of how to get clean energy, would endanger our planet's existence," the longtime EV skeptic said on Monday. Speaking in Rovereto, Italy, at Trento University, where he received honorary degree in engineering, Marchionne said that two-thirds of global electricity is produced using fossil fuels such as coal and oil today, which means the actual CO2 emissions of a battery-powered car are “at best” equivalent to those of a car with a gasoline engine. Battery-powered cars have also been bad for Marchionne's bottom line. The CEO said FCA loses $20,000 on every full-electric Fiat 500 it sells in California. He previously estimated the loss at $14,000 per vehicle.